As the new academic year begins we have welcomed our fourth cohort into the Cambridge MPhil in Public Policy (MPP) and we are off to a flying start. 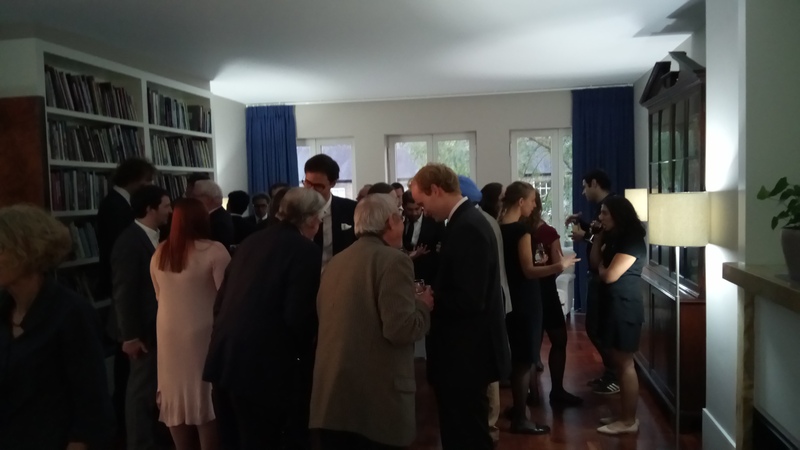 Our first week was a blur of orientation activities, matriculation dinners in the various colleges our students are resident in and a lovely drinks reception with Lord Smith, the Master of Pembroke College, at his residence. For this year we are also very happy to welcome new faculty to the MPP, with Dr Laura Diaz Anadon and Dr Dennis Grube joining the MPP team. This extends the topics and regions that we both study and teach and allows for greater one to one supervision time for our students. We are also in the process of bring a new Professor of Public Policy to Cambridge which will extend our research and teaching capacity even further. But what about our great new cohort? Well we have a rough 50/50 split in terms of gender, with 11 countries represented from the USA to Pakistan, and the United Kingdom to Australia. Each of our students has some policy experience and everyone is committed to having an impact in the public sphere, whether that is in a government department, working with an NGO or from the private sector. The students have dived into macroeconomics, philosophy and statistics, as well as cases on welfare spending and industrial policy, and testing themselves in the professional development stream attempting new forms of writing. The year is short but there is a lot packed into the time that students are here. Having taken over as the Director of the MPP I am very excited to be able to take the MPP forward, building on the successes of the first three years and continuing to evolve both what we teach and how we teach. In further blog posts I will discuss the identity of the MPP and also go through the course structure in more detail. But for now I just want to welcome all of our new students and encourage those of you thinking of applying to dive in. This entry was posted in Uncategorized on October 21, 2016 by Finbarr Livesey.